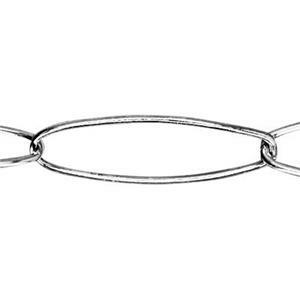 This long and lean jewelry chain works best at longer lengths. It is lightweight so you get a lot of look for your money. This style was recently replaced with a little bit thinner gauge and it just seems too thin now. I didn't think the change would make much of a difference but it sure does. I wish we could get a heavier gauge wire back in stock. ***** Customer Service Response***** Hi Jessica. We are a little perplexed by your review because we haven't changed the wire gauge on this chain. About 10 years ago we did carry a paperclip chain, that was similar, but this new chain was not meant to be a replacement for that one. We would really like to hear from you, unfortunately, we are unable to locate you in our database. Please call us toll-free at 800-528-0535, so that we can clarify this misunderstanding. Thanks! This chain is gorgeous! 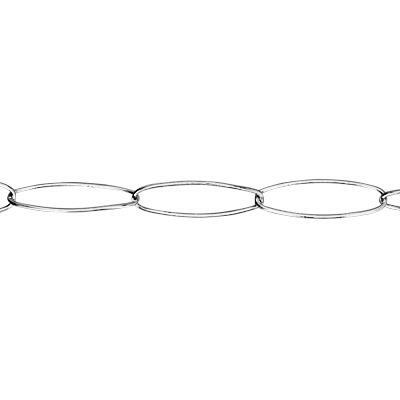 It is made of large links yet still completely delicate enough to look good with anything you pair it with. That's a rare find!